Many people keep koi fish in ponds or tanks, but only some can easily identify the types of Koi that are swimming around in them. In this video, we show 38 different types of Koi, including some rare varieties. Use this video to help you learn how to identify Koi when you see them. The ABLE project provides an outdoor learning facility for young people whose needs are not met in mainstream education as well as community service participants. The ABLE project combines areas of willow coppice, with a wood chip biomass boiler, a recirculation aquaculture system growing tilapia, carp, sturgeon and catfish, out door vegetable plots, an orchard, beehives, a BMX track and aquaponics greenhouses to provide an interdiscipli nary learning environment catering for a wide variety of interests. Aquaponics UK designed, supplied, helped build, and commissioned the aquaponics greenhouse systems as well as providing training and continued support. The Old Mills project is designed to produce between 10 15 tonnes of tilapia a year as well as consistent year round production from 600m2 of climate controlled aq uaponics greenhouses. The site itself includes a water mill that dates back to 1010AD and in the 1200’s was owned by Macbeth. The watermill will be central to the projects aims towards sustainability producing electricity from the three lades that flow through the site, to power pumps and supple mentary lighting. Learning, employment opportunities and training will be core values of the project as a whole and the site will also include a farm shop, a visitor center and function as a participatory resource for the local community and visitors alike. Aquaponics UK, designed an urban aquaponics system for a household in Shoreham Sussex, the system is de signed to incorporate their requirements for fresh herbs, salad crops and duck’s eggs as well as fish for ornamen tal purposes. The system is also intended to provide a learning re source for afterschool clubs and classes as well as dem onstrating sustainable urban food production. A trial system growing oriental herbs and tilapia is being used as a proof of concept for a larger commercial system which will when operational, supply high value London restaurants through the Low Hub food distribution chain. Aquaponics UK has been working with the ABLE project and a Sustainable Aquaculture MSc student from the University of Stirling to develop a proposal for the integration of aquaponics into the redevelopment of a brown field site. The project would create community assets, recycle local green wastes, providing training and employment and sustainably produce food for local consumers. Aquaponics UK are advising members of the Sanford housing cooperative on adopting aquaponics to meet the salad and fresh herb requirements of the 130 strong community. The buildings on site are currently being heated by biomass boilers and solar thermal systems and aquaponics is seen as a further way in which the community can lower their footprint and produce more of their own food. Aquaponics in schools with the ABLE project. Aquaponics UK hosted an Erasmus student from the Basque country for three months alongside an MSc student from Stirling. During this time, the students worked with staff from both the ABLE project, ABLE to Build and Aquaponics UK to develop a number of small scale demonstration systems and helped install them in a variety of schools, colleges and offices across Yorkshire under the ABLE Aquaponics scheme. Over the same period we also collectively promoted aquaponics at the 2009 Harrogate Flower Show and received a great deal of interest from schools, community projects, garden designers and growing enthusiasts alike. Aquaponics UK designed and supplied a low energy lighting system for the research greenhouses and their use in bumble bee research. The installation of a variety of aquaponic systems around the institute of aquaculture is in it’s planning phase. The installations will provide both intriguing and captivating learning resources and the will be used to demonstrate how the architectural and design elements of aquaponics can be combined with hard science, to provide diverse and highly productive food growing systems for all involved. The institute of Aquaculture at Stirling and more specifically the Systems Research Group, has been an extremely valuable pool of knowledge, ideas, contacts and has been instrumental in the establishment of Aquaponics UK. Charlie Price from Aquaponics UK has also been working through the Institute with CEFAS to provide information to the growing UK tilapia industry both on aquaponics and renewable energy systems, and in Oct09 will give a presentation to key stakeholders including representatives from DEFRA on the role aquaponics can play in the future of our collective food supplies. Aquaponics UK has been advising a sustainable architecture student on a visionary proposal for the redevelopment of an industrial site in Birmingham. The proposal includes the reuse of industrial buildings into food production systems and the site being made into a functional and aesthetically pleasing space for the communities involved. The student is working with the Center for Alternative Technology in Wales and the project is in the preliminary design and concept stage. We are currently supporting an initiative in Afghanistan, being coordinated by US marines based in the Helmand province. The initiative is aimed at providing aquaponics resources for training local villagers and school children and is ultimately viewed as a viable high value alternative to opium production. Aquaponics UK provided free equipment to the project with the support of Hydrogarden and Oase, as well as continued support to ensure the project reaches its full potential. A demonstration farm incorporating aquaponics is planned in Lashkar Gar with the support of USAID. Aquaponics UK, along with a variety of stakeholders, will work together to ensure methodologies are adopted appropriately and to the direct benefit of the Afghan people. Aquaponics UK are working with “Pathways to Empowerment” within the WOTR project programme. Huge problems exist in many of India’s rural communities in which the WOTR work, due to a variety of issues ranging from soil infertility to the over extraction of ground water resulting in, amongst other things, poorer livelihoods for the farming communities and some alarming suicide rates (183,000 in the last 15 years). WOTR have implemented 728 watershed projects, in 996 villages and impacting on the lives of 740,000 people across India. We are currently in the early stages of helping to design a variety of systems for a demonstration farm at the WOTR center. One of our newest staff members, Rebecca Bainbridge, is working with the Haller Foundation at Baobab Farm. Rebecca, under a scholarship from Aquaponics UK, will work with staff from the Baobab Farm from Sept-Dec 09 to develop household scaled aquaponics systems suitable for sub Saharan applications. The Baobab farm is based in an old quarry and provides a unique demonstration farm exhibiting integration on many levels and providing a training facility for local farmers. We will keep you informed of Becky’s progress on the website in the coming months. We are working with an organisations in Uganda to develop a commercial scale aquaponics farm producing tomatoes and around 5 tonnes of tilapia per year. The system is designed to act as a demonstration and training facility as well as exhibiting the commercially viable nature of aquaponics in areas where soil fertility and water scarcity are an issue. The University of the Virgin Islands was the first academic institution to conduct prolonged and detailed research in the field of aquaponics. 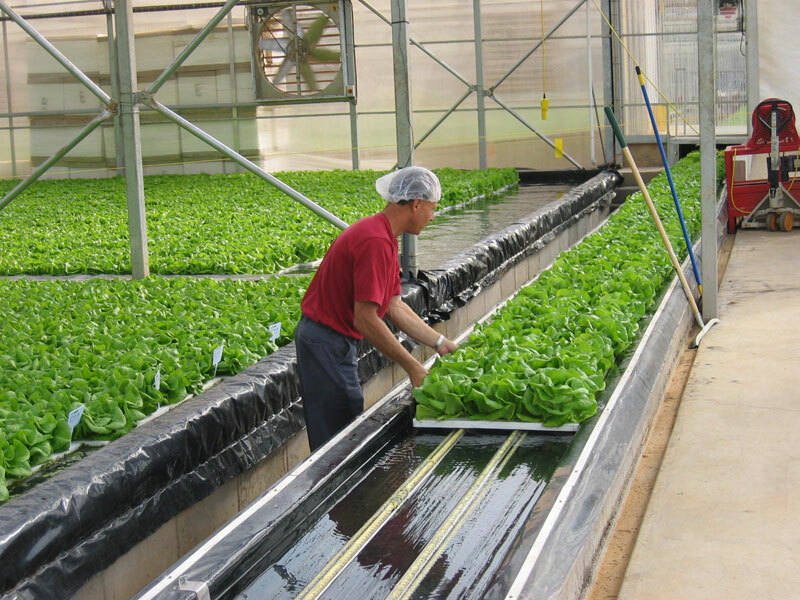 UVI has a proven track record and runs yearly short courses in Aquaponics and green water systems. The founder and director of Aquaponics UK, Charlie Price, spent some time at UVI back in 2006 and also completed their short course. Over the coming few years Aquaponics UK through the Institute of Aquaculture at Stirling, aims to develop research projects with UVI to develop our knowledge base further. Aquaponics UK have been helping advise staff at Katho University of the setting up of a small scale trial system growing salad crops and tilapia. 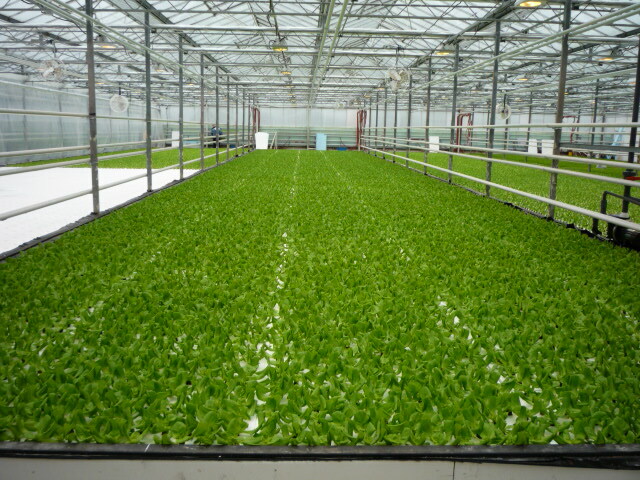 The system is intended as a first step towards developing educational aquaponics within the university. Progress is ongoing. These are just some of our recent and current projects, and are listed in order to give you an idea of the range of applications and work that we do. There are numerous other people and projects to which we provide information and advice, and in time we aim to provide detailed information on the case studies in order from us all to learn from each other experiences, to share ideas and to collectively move things forward. Hold seedling at the top of the pot. (Rinse dirt from roots if started in soil.) Carefully add Expanded Shale around the roots to the top of the pot. Moisten the Expanded Shale to prevent the roots from drying. Flood nutrient water every 1-1.5 hours for 10-15 minutes. Flood more frequently under hot conditions. Insert wick while adding Expanded Shale. Nutrient water should continuously flow over wick. Pour Expanded Shale into grow bed and level. To reduce evaporation and algae growth, keep maximum flood level 1″ below the surface. Like traditional soil, dig a hole and place seedling in hole. (Rinse dirt from roots if started in soil.) Carefully backfill hole. If seeding directly, following seeding instructions on package. Keep Expanded Shale moist until roots develop or seeds sprout. Flood nutrient water every 1-1.5 hours for 10-15 minutes. Flood more frequently under hot conditions. Add Expanded Shale to the base of the growing tower. Place a filter around drain to prevent clogging. Insert seedling and carefully place Expanded Shale around the roots. Continue adding growing media to the next level. Continue watering plants until roots develop and can get enough moisture from the flood cycle. Occasionally check towers for root-bound plants and clogged drain. Moisten the Expanded Shale at each seedling to prevent the roots from drying. Flood nutrient water every 1-1.5 hours for 10-15 minutes. Flood more frequently under hot conditions. Expanded Shale will retain moisture in its pockets and fisures. Many people have found that it is not necessary to run their systems at night. The above diagrams are generic samples and don’t pertain to any particular setup. Every system is different depending on the environmental conditions, plants, and nutrients. Flood and drain times can vary depending on environmental conditions or sizes/types of plants. We wrote about the Watercone, but considering how much TreeHugger’s audience has grown since then, it’s likely that only a handful of you were reading the site back then. I think it’s time to have a second look at this very clever device that has the potential to help provide clean drinking water for millions of people who are lacking access to clean water (or if they do, maybe the access is intermittent and they could use a plan B). It’s also very durable, easy to transport (they stack easily), inexpensive to produce, and low-tech enough that it can be used even if no other infrastructure is present. What do I feed my Koi? 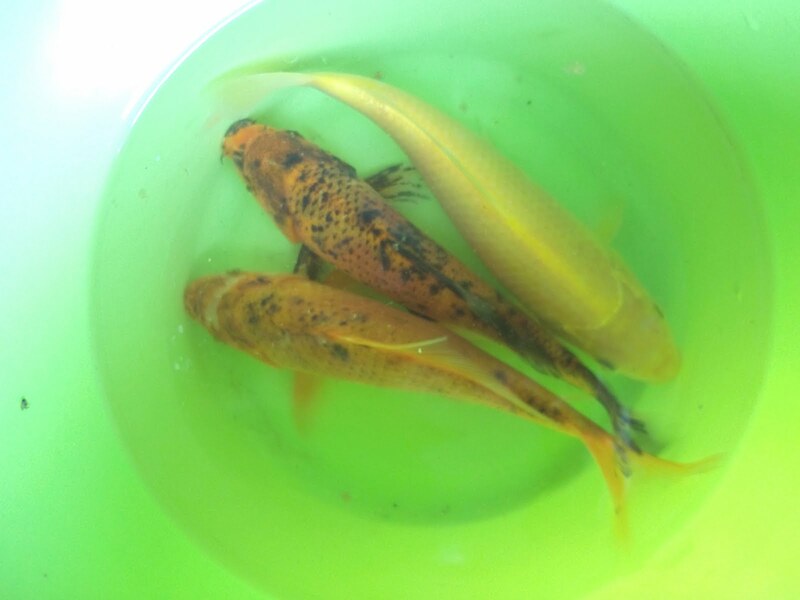 Your Koi’s diet and nutritional needs will change with the water temperature. During the summer, you will need to feed your Koi a food that is high in protein, around 30% to 50%. During the spring and the fall, when the water is cold, you will need to feed your Koi a Wheat Germ based Koi food that is easy to digest. During the winter, Koi go dormant and won’t eat. If you keep your Koi in a tank inside your house during the winter, you can keep feeding them a high protein food. How long do Koi live for? The oldest Koi on record was names Hanako. Hanako reportedly lived to be 226 years old. When do Koi start breeding? Koi will start breeding when they reach sexual maturity. This happens when they are at least two years old and about 12 inches long. If you plan on breeding your Koi, it is better to wait until they are around 4 or 5 years old. Spawning is stressful and it can damage your Koi. When they are older, they will be able to handle the stress better. Why is my fish isolating itself? Your Koi could have a parasite or a bacterial infection. It should be netted and inspected. If you live elsewhere and require assistance, get in touch with a veterinarian that specializes in Koi health in your area. Do Koi do better in hard or soft water? Koi do better in hard water. A stable pH level is required to keep Koi. Hard water is full of minerals, which act as a buffer to prevent any pH fluctuations. It is easier to keep Koi in hard water than soft water. In a closed water system like a small Koi pond, the pH level will remain stable for longer periods of time with less water changes. If you keep your Koi in soft water, you will need to do water changes more often, in order to keep your pH level stable. A “pH crash” can occur if you fail to do regular water changes. A pH crash happens when the mineral content in the pond water becomes too low to buffer and the pond water quickly becomes to acidic. A rapid change in the pH level is toxic to fish. Since soft water has a much lower mineral content than hard water, the chance of a pH crash happening is far greater. We recommend that you use hard water for your Koi pond. It helps create a stable environment for the Koi fish. At Project ENERGY EFFICIENCY COALITION and CROATIAN CENTER of RENEWABLE ENERGY SOURCES, we believe that giving turns ordinary money into change, a change for the better. That’s why we ask each of our CCRES partner to think about what they can do in their community to give. Whether it’s volunteering for a community event, helping out a neighbor in need, or making a donation, the act itself doesn’t matter. Even the smallest act of giving can spark change. Consider offering your skills rather than goods. Help an elderly neighbor with household fixes, offer to repaint a community playground, rake leaves or mow the lawn of a neighbor who is unable to do it. Often these skills are needed just as much, if not more than money or goods. It doesn’t have to be about money. check out for many well-known organizations. Take some of your free time and visit a nursing home. Read a book with an elderly person, talk about topics in the news, play cards and bring a little joy into both of your lives. You will probably come out with a new friend! Help a school in your community. Offer to help distribute school lunches, check or grade papers for teachers, help during recess, or manage school activity functions. Participate in a local environmental clean-up day or start your own with family and friends. Go to your local parks, beaches, or hiking trails and pick up litter. Send Holiday mail for Croatian heroes. During the holiday season you can send a card to a Croatian soldier through the partnership between CCRES and HVIDRA. 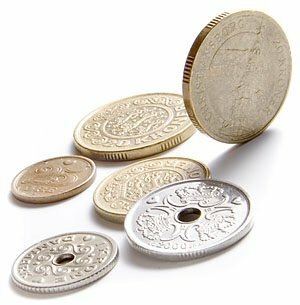 Offer to help with the day care, cleaning the church, bringing fresh flowers for the services, or offer to do office work at the church administration office. Are your clothes too tight, too loose, tags still on something you never wore? Give it away. You can stop by your local RED CROSS or KARITAS , and many communities have drop-off boxes where you can leave your donated goods. Give a new Toys . Donate a brand new toy to your local children nursery to help bring joy to a child in need. Contact your children nursery to learn how you can donate. Give to a local food bank. You can donate a few of the canned goods you currently have in your pantry. With the recent economic crisis, food banks aren’t being given as much from donors and more people are needing to be served. 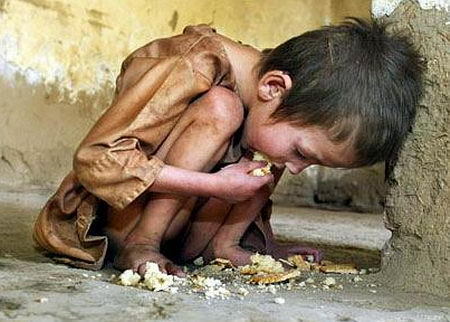 Contact your local food bank today to find out how you can donate or visit solarserdar.blogspot.com. If you have books that have not been read in over a year, chances are you are not going to ever read them again. Give them away! Donate your used books to libraries, schools, or shelters so someone else can enjoy them like you once did. Without generous private donations the CROATIAN CENTER of RENEWABLE ENERGY SOURCES would be unable to continue the valuable work it does in bringing objective information to an often overheated debate. Fresh is the concept for an organic, living supermarket in cities and villages, where instead of taking the items off the shelf, the customer harvests the produce directly from raised beds! It is a system that works with nature rather than against it. By harvesting, the customer contributes to the work of producing to such a large extent that the produce can be offered at a never before seen quality and price. It’s almost for free. This is what you may call a win win win situation! Man is the only creature that has to pay for living on planet earth. All other creatures get their food directly from nature and the ecosystems they are part of. We share many essential conditions for life with both plants and animals. We share for instance soil, water, air and sun light. Our food comes from nature, and the only reason why we process our food is business. We grow our food in rows on fields. We remove weeds, harvest, store, package, transport and sell our food to process it further. The system is designed out of economic interest and thus fails to address the fundamental values of food. During production, the essential living conditions for the actual crops are removed. The crops therefore turn sick and are affected by various diseases and pests, which subsequently are controlled with poison. As the produce finally appears in the shelves of the supermarkets, it lacks the quality of proper food. All processing of food diminishes its quality, whether it is the tilling of the soil or the processing of the actual crop. Nutrients diminish from the moment of harvest, so that the food, once it is delivered to the customer in the supermarket, has lost most of its nutritional value. FRESH is a highly productive place offering the totally fresh and healthy produce at low and sustainable cost. It is an experimental site for the conceptual development of urban farming systems for the future. It is a centre for exchange of knowledge in growing systems, companion planting, plant’s interactions with nature and their use for man. It is a centre for courses offered to schools, institutions, associations, companies and private people… with courses in food preparation, nutrition, herbs, medicine, cosmetics, growing systems, and the use of plants, etc. 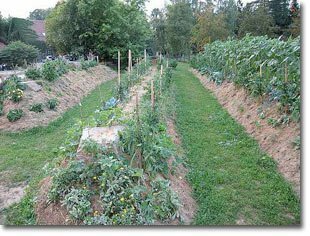 A raised bed area in a forest garden environment for intensive cropping and self harvest. A place to experience and teach ecology. 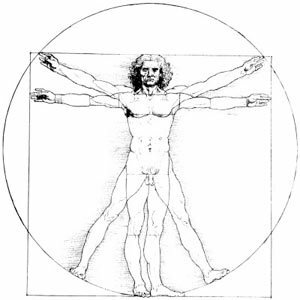 The physical framework for education in plants, healthy food and medicine. Literally, an experience of growing with nature, the discovery of old and new crops in mixed settings with plants and animals, where people can become part of the system. Import of wood (partly as tree trunks, and partly as wood chips) and mushroom mycelium as a basis for the establishment of the raised beds and to start the decomposition process. Planting of a forest garden including the planting of fast growing trees for sustainable production of biomass. Establishment of a species-rich seed collection from breeders and seed collectors. Raising of financial support and employment of a group of professional gardeners that establish the first physical framework, e.g. raised beds. In cooperation between the community and local residents as a socio-ecological project or as an activation program for unemployed people. Through courses and the active participation of students in the construction. Food production does not need to depend on fossil fuel energy, pesticides or artificial fertilizers. The entire chain from production to consumption can work out completely independent of fossil fuels. Health does not depend on medical care but nutritious food — from healthy crops produced under natural conditions. Such benefits cannot be offered by any of the existing production systems in Denmark. Only radical new concepts, such as FRESH, can and will create the desired resilience for the future food production and health of consumers. The holistic view on food generates culture. From soil to soil, from table to table and from mouth to mouth. FRESH will provide the physical framework for development of growing systems and its subsequent circulation to the public. FRESH will serve as inspiration for social entrepreneurs and companies having their focus on social ecology rather than conventional economy. FRESH will be of benefit to the society at large, as it will secure food production and resilience independent of the current economic system. Fresh will be an ecosystem with plants, animals and humans. Children will learn about essential living conditions as provided by the garden. 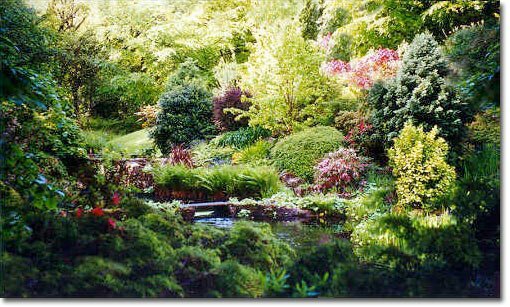 Paradise derives from the persian language and means ”fenced garden”, and if the garden is designed properly, it will contain all the essential conditions for life to thrive. FRESH provides education in entity. We learn about the needs of plants as well as humans, and we learn about ecology as a sustainable alternative to the current economy. The knowledge will be explored in an open and integrating process and will be spread through consultancy, practical demonstration and guidance. In nature, plants do not grow is isolation, and neither do they grow in rows or in monocultures. Plants are used to growing with other plants and organisms, and have found in the course of evolution friends, enemies and cooperators. Some plants are so dependent on the presence of a specific other species, that they depend on each other for survival. But there are also entire groups of plants that support other groups of plants. 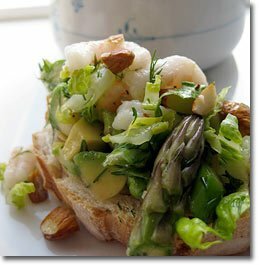 Legumes, for example, assimilate, with the help of soil bacteria, nitrogen directly from the atmosphere. Other plants are more efficient in assimilating carbon through photosynthesis. These different groups of plants are able to efficiently exchange their assimilates via a dense network of mycelium, so that both groups benefit from each other’s expertise. There are additional mechanisms in plants and their environment to efficiently share water, light and nutrients. During evolution, plants have developed specific strategies to circumvent direct competition. Most plants do not thrive well in monocultures. Instead, they are coded to cooperate with other species. And there is a wealth of mechanisms for such cooperation beyond imagination. FRESH can contribute to exploring these mechanisms and to further the development of growing systems. We will only be able to study the cooperation between organisms, when we allow the cooperation to take place in the way we grow our crops. 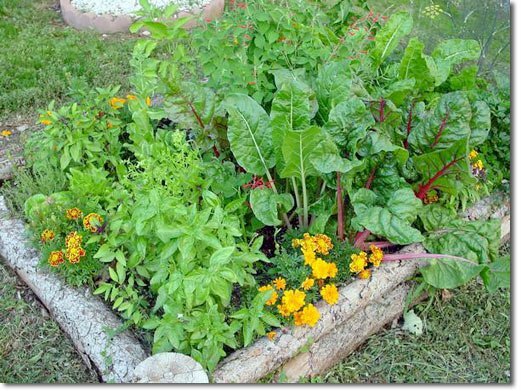 Mixed polycultures are therefore the most appropriate way to cultivate plants. FRESH will challenge our understanding of food and redefine terms such as crops and weeds. Many of the so-called weeds are rather miracles of nature. Weeds have important functions in ecosystems. It does not make sense to quantitatively remove weeds from the system. Instead one needs to work together with these plants in order for them to contribute to the system with their particular quality. Stinging nettle is one example of the most neglected miracles among the plant kingdom. Stinging nettles accumulate a large variety of nutrients from the soil such as sulfur, nitrogen, calcium, potassium, iron and copper. Stinging nettles contain minerals as well as vitamins (A and C) and are beneficial for both humans as well as the soil. Stinging nettles clean the blood, the kidneys, the liver and even the cells. But stinging nettles can also be used in surface composting by covering the soil between the crops. Surface composting releases nutrients for other plants thereby contributing to the formation of a natural soil structure. Stinging nettle is a healthy component of ecosystems; healthy in a broad sense. Extracts of nettles can be used as liquid fertilizer as well as a protectant against pests and diseases. 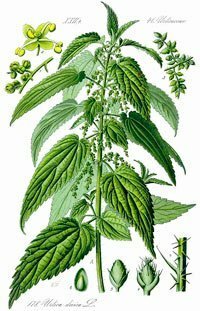 Nettles have been used for food, medicine and fiber. But nettles also have important functions in the wild nature. More than 30 species of insects feed on stinging nettles and many spiders depend on them for food and habitat. Mushrooms form a large group of living organism that decompose and feed on biomass. Mushrooms are mostly known for their visible fruit bodies. 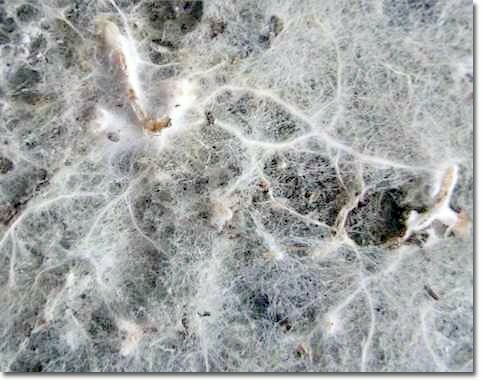 However, their hidden mycelium is a tight network that penetrates the soil in order to find decomposable organic material. The mushroom mycelium is the planet’s natural internet. Individual mycelia are known as the biggest individual organisms on the planet and have extended across areas as large as several hundred hectares. The mycelium transports and distributes nutrients and makes them available to soil bacteria and plants. The mycelium decomposes toxic compounds, takes up heavy metals and paves the ground for the establishment of a healthy ecosystem, thus allowing many other organisms to flourish. The mycelium cleans and restores ecosystems from the bottom up, both after natural and man made disasters. A specific group of mushrooms, also known as saprophytic mushrooms, are able to decompose a broad spectrum of the most toxic compounds in our environment, such as PAHs (polycyclic aromatic hydrocarbons), PCBs (polychlorinated biphenyls), or the explosive TNT. The same mycelia can decompose all fractions of oil including products derived from oil. In addition, the mycelium of specific mushrooms can take up heavy metals such as mercury, cadmium, copper and lead, as well as contaminants such as arsenic and radioactive cesium. The mycelium is a dynamic network that communicates with other organisms, shares and transports nutrients across large distances, while keeping toxic heavy metals out of reach for other organisms. Several mushrooms are known as toxic because of their capacity to accumulate toxic concentrations of specific heavy metals. A natural soil structure is the most promising way to reestablish the intelligent system mycelium. Tilling the soil destroys the immune system of the soil and releases toxins. Obviously, the quality of soils cannot be monitored by merely analyzing its elemental composition. The soil is an ecosystem with dead and living organisms in a dynamic and evolving process. It is the healthy state of the soil that determines, whether and how much toxic compounds are taken up from the vegetation above. The quality of the soil can only be determined by the vegetation. Its content of essential minerals versus toxic contaminants. It is further obvious that naturally built soils must not be disturbed repeatedly by ploughing, because tilling the soil destroys its natural structure. 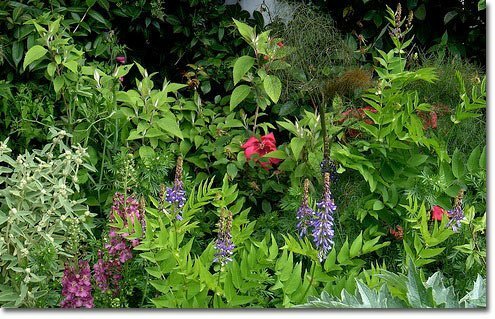 Permanent, perennial and mixed polycultures are therefore the most appropriate form of cultivating plants. Long before the discovery of the American continent, the Amazon basin was inhabited by one of the largest agrarian civilizations. The Chibcha peoplepracticed a method that became known as ‘slash and char’ to create and maintain cropping systems in the rainforest. The soil that has resulted from this culture is known as ‘terra preta do indio’ and is still, 500 years after the disappearance of the culture, stable and exceptionally fertile. 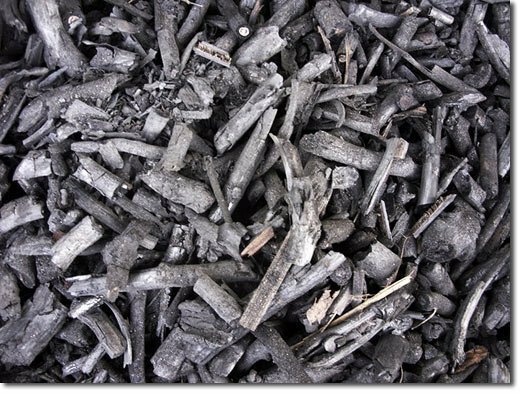 Char – or biochar – is a morph carbon which is the product of a fractionated burning (pyrolysis), where, instead of burning the biomass all the way down to ashes, only the light and volatile compounds of the biomass become oxidized, whereas most of its carbon skeleton remains. Biochar has a gigantic surface structure providing a habitat for mycelia and bacteria, keeping moisture, and binding both nutrients as well as toxic contaminants. The addition of biochar to soils contributes to the sequestration of carbon from the atmosphere, while at the same time serving to increase the soil’s fertility. In turn this creates conditions for better growth and further assimilation of carbon dioxide. Biochar can be produced from all kind of dried biomass with simple technology. Biochar bears many potential applications and can for instance be used in the foundation of growth areas such as raised beds. Here it can serve as a filter to prevent unwanted contaminants rising into the upper soil layers, while at the same time reducing the loss of nutrients into the ground water. Standing strong against chronic diseases including depression, stress and burn-out is a great need. Our body is our temple. A healthy body is required for health of mind and soul. We are genetically coded to live in and from nature. Man has eaten food produced in and from nature for 250.000 years. Consequently, our body needs nutrients and metabolites from the soil primarily via plants. The definition of disease from the school medicine’s perspective refers often to a functional failure with the result that symptoms are treated rather than diseases. The body turns sick if it is not provided with the necessary minerals, vitamins and metabolites. Today, we treat such symptoms with medicine. However, we can also choose to treat the patient and his or her disease, if we instead take a holistic view on the matter and provide the body with the necessary nutrition of healthy food. In fact, then we activate the body’s natural healing mechanisms. The garden is known as a place for therapy. In reality however, it appears that people get sick as they are taken out of nature and the garden. Caroline Fibæk, naturopath in biological medicine, book author, presenter and educator. Jann Kuusisaari, biologist with focal area in edible weeds, gardner. Julie Dufour Veise, architect, field guide. Ginda Hirslund, green cook and nutritional therapist. Educator at the school of ecological production, Copenhagen (den økologiske produktionsskole). Provide fish, seafood and associated product inspection, quality management and fish/seafood processing technology consultative, inspection and audit services to individuals and organizations. Membership is open to any professional or student with and interest and involvement with the fish, seafood and aquaponics sector. Are YOU ready to join the Farm Revolution ? There’s been a lot of interest about commercial aquaponics recently and some discussion about how big should such a system be to become viable? Big is always best right? Not necessarily. If you envisage one of those broad acre hydroponic farms that seems to run for acres and acres off into the distance then you might be surprised that this is not the solution or even the future of aquaponics. Speaking with Murray Hallam recently about commercial aquaponics, he sees this future very differently. Murray is big on small scale aquaponics that offers a secure future to the mum and dad operators running their own relaxed lifestyle but selling their produce not to big agri-business food chains, but directly into the community. Farmers markets, produce sold directly to restaurants, even food sold to other local food suppliers that redistribute your produce directly to the community. This method seems to be the way to go forward. Gina Cavaliero from Green Acre Organics is one such person doing the direct to restaurants route. If you thought the process would be difficult to secure a contract of direct sales like we did, then you are in for a surprise. Gina cannot supply enough food to meet the need in her local community. It seems fresh produce in peak condition is a much sought after commodity. One of the smart things Gina did was to first build a mini micro aquaponics system. In her backyard you will find a very small floating raft system connected to a round outdoor pool fish tank. Here Gina is able to cleverly test out a range of produce from herbs to lettuce to test and discover what grows well in her neck of the woods. Living in Florida helps too. But until you test a range of of boutique produce you will never know exactly how well those greens will grow based on your climate conditions. A micro floating raft system gave Gina the necessary clues to what would work well in her larger system. Building a small micro-system first is a clever inexpensive thing to do. No sales person or marketing guru can tell you exactly what to grow in your climate. You will need to do your own homework first. Some level of filtration is needed on even a basic small system like this. The plants and fish are a litmus test to the experimental nature of determining the optimal growing conditions for her test plants. Of course in her main greenhouse the usual rules of filtration apply. Gina features even a degassing tank to heavily oxygenate any methane present in the system before the water is sent off to her floating rafts. But building a micro system is a terrific idea before taking the heavy investment in up-scaling to a larger more expensive commercial system. Gina even lightly stocks her big tank with tilapia. There is no problem with the fish supplying enough nutrients to keep the plants well fed. Lightly stocking your tank with fish can also be less stressful to the farmer should something break down resulting in heavy fish losses which seems to have a compounding problem in heavily stocked tanks. Heavily stocked tanks also require critical attention to filtration and fish oxygen demand. Sometimes a lighter approach to aquaponic farming can be less stressful and more therapeutic and still yield good plant growth. Incidentally Gina Cavaliero along with Sylvia Bernstein and Murray Hallam will join forces for a small scale commercial aquaponics class nextApril in 2012 in Florida.Murray Hallam will also reveal how to build a hybrid media system he calls FloMedia right into your floating raft system. 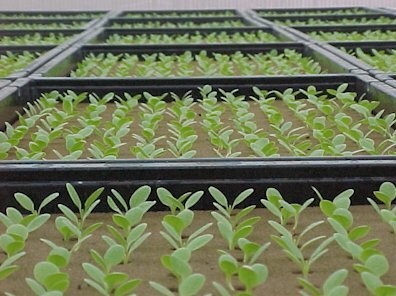 The idea is that for the small commercial farmer wanting to grow a broader range of plants and vegetables, even root crops, FloMedia can be expanded to use fish nutrients along with your conventional system. This raises the opportunity for farmers to trial a broader range of fruit trees and larger plants in their locality. In April of 2012, Green Acre Organics proudly presents the training that will reshape farming forever…. Are YOU ready to join the Farm Revolution? Learn the methods, understand the science, discover the business, and become part of the movement that will relocalize sustainable food production. This is not an academic class taught by professors or consultants, but rather a hands-on practical class designed to teach you everything you need to know to run your own successful aquaponic farm. The innovators at Green Acre are joined by Murray Hallam of Practical Aquaponics and Sylvia Bernstein of The Aquaponic Source for this comprehensive, hands-on approach to aquaponic farming. Watch this video to hear more of Murray’s thoughts about aquaponic farming. The Green Acre family farm is the model that this team will teach students to replicate. A successful Aquaponics Farm since 2010, Green Acres does this for a living every day. Recognizing the value of integrating media bed growing into raft (DWC) technology, their hybrid aquaponics design optimizes nutrient density by allowing the additional metabolization of valuable solids typically removed from DWC systems. Why remove the most valuable element in an aquaponic system when it can be utilized to produce better and more abundant growth? This growth translates into one thing, more sellable product, elevating your bottom line. This is Real farming for Real people. For only an additional $200 and one more day (on the back-end if you sign up for Session 1 or the front end if you are in Session 2) you can walk away with a complete set of plans and the know-how to build your very own passive solar greenhouse. You can even use recycled materials! PLUS, you will learn how to save and adapt your own seeds, reducing your costs and increasing the quality of your crops. 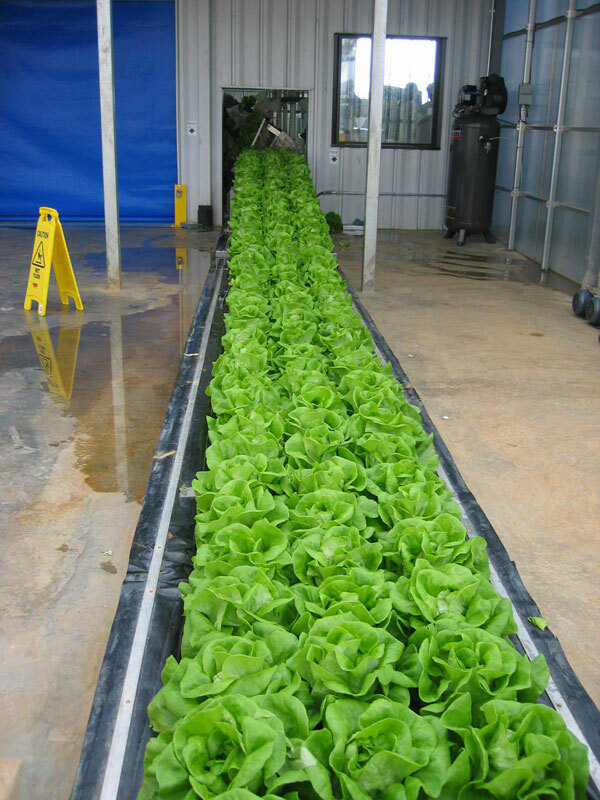 What sets us apart from other aquaponics training programs? Glad you asked! Our program is taught by people who are not only aquaponics business people and farmers, but also industry leaders. We do aquaponics for a living every day. Our goal is not to sell you systems or consulting services at the end of this course. Our goal is to have you walk away with all the knowledge you need to start your own successful aquaponics farm. Our approach is to teach you about all the growing methods currently available – DWC, media, NFT, and Vertical – so you can design your farm to fit your market. Our process is organized and structured. Your time is valuable and you are paying your hard-earned money for this course. We guarantee that if we say that we will go over something on the schedule below…we will. We offer additional training in greenhouse building and seed saving! We have designed this course to be a logical progression that builds on itself over the four days. Morning sessions will be held classroom style in a very comfortable, local community center. Each morning session will start with an aquaponically focused set of lessons, followed by a set of business lessons. Then we break for lunch, which will be provided from a local, organic cafe. Afternoon sessions will be at Green Acre Organics Farm. They will be broken out into smaller groups so that all students get front row, hands on time with their instructors. Each group will rotate through all segments. Can you actually sell your fish? I’m a farmer…why do I need a website? Business – “Sell” is not a 4-letter word! Green Acre Organics is one of the first commercial aquaponic farms in Florida. At Green Acre, Gina manages farm operations, their Green Acre Organics For You! produce club and also their aquaponic training program, where entrepreneurs are taught how to replicate the Green Acre model and operate the hybridized aquaponic family farm. Gina serves as the inaugural Chairman for the Aquaponics Association and is dedicated to the mission of advancing aquaponics for her fellow members and industry. Before becoming an aquaponic farmer, Gina was the co-owner and managing director of a multi-million dollar producing construction contracting firm. Gina received her Bachelor of Science from the University of Florida in Anthropology with a minor in Education. Tonya Penick is the behind the scenes force of Green Acre Organics. With a 23 year construction history, Tonya is the system engineer and hands on element in the Green Acre operation. Tonya was the co-owner and operations manager of the duo’s semi-national construction firm. Murray is probably the most well known face in the world-wide aquaponics movement. He discovered aquaponics in 2006, and immediately put his fiberglass and boat-building skills to work to build and sell aquaponics systems and equipment through Practical Aquaponics in Brisbane, Queensland, Australia. He is perhaps best know over here, however, for his outstanding aquaponics video series: Aquaponics Made Easy, Aquaponics Secrets, and the recently released DIY Aquaponics. Murray is the Chairman of the Australian Chapter of the Aquaponics Association. Sylvia is the president of The Aquaponic Source , she runs the Aquaponic Gardening Community, and is the Chairman of the U.S. Chapter of the Aqupaonics Association. She is also the author of “Aquaponic Gardening: A Step by Step Guide to Growing Fish and Vegetables Together” . Before aquaponics, she was the VP of Marketing and Product Development at AeroGrow International, where she was one of the founding team members. Sylvia has an MBA from the University of Chicago and a B.S. in Agricultural and Managerial Economics from the University of California at Davis. Because we strongly believe that the personal experience of actually being in the class and interacting with the systems, the instructors and fellow participants is critical to the eventual success of the participants, this class will not be available on video tape and video taping of these sessions is prohibited. These workshops are sure to fill up quickly and will be kept to a limited number of participants. Reserve your space now! The pH of the soil is one of the most important factors in determining the ability of the soil to be used as a media for growing plants. The soil pH affects the uptake of essential nutrients by plants, soil microbial activity as well as the health of plants in general. The soil pH is something that must be continually monitored if optimal crop yields are to be obtained. So, what exactly is pH? PH is a term that is used as measurement of the hydrogen ion concentration in an aqueous solution. More specifically, pH is the negative logarithm of the hydrogen ion concentration in solution. The pH scale has no units. As was discussed earlier, the actual concentration of hydrogen ions in an aqueous solution can range from 1 to 10-14 moles of hydrogen ions per liter. When the concentration of hydrogen ions in solution is 1, the concentration of hydroxyl ions is 10-14, and vice-versa. When the negative logarithm of 1 is taken, it turns out to be 0, and when the negative logarithm of 10-14 is taken it turns out to be 14. Thus the pH scale ranges from 0 to 14, with a pH of 0 being the most acidic state and a pH of 14 being the least acidic. A pH of 7 is considered neutral. At a pH of 7, the hydrogen ions and hydroxyl ions are present in equal concentrations (10-7). At a pH above seven there are more hydroxyl ions than hydrogen ions present. When there are more hydroxyl ions in solution than hydrogen ions, the solution is considered basic. Thus, anything with a pH above 7 is considered basic, and anything with a pH below 7 is considered acidic. Since pH is actually a logarithmic measurement, each increment of one on the pH scale actually corresponds to a ten-fold increase or decrease in hydrogen ion concentration in solution. For example, a solution with a pH of 3 will have ten times more hydrogen ions than a solution with a pH of 4. A solution with a pH of 2 will have 100 times more hydrogen ions than a solution of pH 4. In the Southeast, there are two areas of concern when it comes to pH. These two areas are: acidity of the soil and acidity of the rhizosphere region of plant roots. Both of them are extremely important when it comes to determining the type of pH management one would use when trying to grow a crop in a particular area. The pH of the rhizosphere is something that is very often overlooked in growing; this can lead to very poor productivity for a grower, particularly in the high intensity growing situations that occur in horticulture. Research has shown that the pH in the rhizosphere can be two, and sometimes more, units higher or lower than the actual soil pH. This means that if the soil is determined to have a pH of 6.0, then the pH in the rhizosphere could range anywhere from around 4.0 to 8.0. While a pH of 6.0 may not seem to be too large a problem, a pH of 4.0 will certainly result in substantially reduced yields for the grower. The pH of the rhizosphere will be addressed later on, as soil pH and acidity will be discussed below. The pH of the soil is a dynamic quality that can have a tremendous effect on the ability of a plant to grow and thrive in it. While both acidity and alkalinity of soil can be problems in all areas of the world, soil acidity is a major problem for much of the southeast United States and will be discussed more completely than soil alkalinity problems, which occur more in the western part of the United States. When one considers soil acidity they must understand that soil acidity is actually made up of two parts: active acidity and reserve acidity. Active acidity is the concentration of hydrogen ions that are present in the soil solution. This is the acidity that one would measure with a pH meter. Reserve acidity consists primarily of aluminum and hydrogen ions that are bound to negatively charged soil colloids. These colloids are referred to as cation exchange sites, after their ability to bind positively charged ions (cations). In most cases the reserve acidity of a soil will be much greater than the active acidity. Reserve acidity will also largely determine how much lime or other amendments one will have to add to the soil to raise the pH. The active acidity of the soil can usually be remedied with a relatively small amount of lime, whereas to neutralize the reserve acidity of a soil much more will be needed. The amount of lime needed to neutralize reserve acidity will depend on the soil type, amount of cation exchange sites, age of soil, amount of aluminum present as well as several other factors. Reserve acidity is not a separate entity from active acidity though. Both of them are interlinked, and what goes on in one will directly affect the other. Their chemistry will be discussed below. Soil consists of particles of clay, sand and organic matter (humus). These particles are mixed together in varying amounts in the soil. The relative quantity of one to another gives a particular soil its properties. In the piedmont region of Georgia, the soils have a high percentage of clay particles in them and thus we have a red clayey soil. In addition, most soil particles are charged. Usually this is a negative charge, but in some situations organic matter and iron oxides can have a positive charge. Clay particles and organic matter particles have a high amount of negative charge, whereas the negative charge of sand particles is extremely low, if there is any. When a soil particle such as clay has a negative charge, positively charged ions that are present in the soil solution want to bind to them, and they do. Many cations that are present in the soil will bind to these negatively charged soil colloids. These cations include calcium, potassium, magnesium, aluminum and hydrogen to name a few. When considering soil acidity, two ions in particular, aluminum and hydrogen, are important. There are a number of factors that affect the overall pH of the soil. A general overview of the factors that can determine whether a soil is acidic or basic, are listed below. The specific factors that can lead to a decrease (acidification) in soil pH will be discussed later on. · What crops are grown and for how long have they been grown at that particular location. · Fertilizer program When a clay particle breaks down for example, aluminum is released into the soil solution. Often this aluminum ion will bind to another negatively charged clay particle. When the conditions in the soil solution are favorable, the bound aluminum ion will react with water in the soil solution and form a number of aluminum hydroxides. When this occurs, hydrogen is released into the soil solution- thus increasing the acidity. When there is a high number of hydrogen ions in solution, this reaction is not favored and aluminum will not form a hydroxide, but instead will simply stay in solution as an Al3+ ion. This in itself is not a good situation, because aluminum is toxic to plants and when it is present in high amounts in the soil solution it will be taken up by plants and can weaken or even kill them. In addition, aluminum can bind to plant nutrients, thus making them unavailable to plants. A similar situation exists when considering the hydrogen ions that are bound to soil particles. When a situation exists where it is favorable for the hydrogen ions to move into solution they will. This occurs when the acidity (hydrogen ion concentration) of the soil solution drops. These hydrogen ions that have moved into solution and the hydrogen ions liberated in the hydroxylation reaction of aluminum are what make up the active acidity in a soil. These reactions, involving the movement of hydrogen ions into solution will continuously occur, unless something is present that takes the place of the aluminum or hydrogen ions on the soil colloids and then neutralize the hydrogen that has been released in solution. It just so happens that lime performs this function. Lime and its actions will be discussed later. As was stated earlier, any number of cations, not just aluminum or hydrogen can be bound to a soil particle at a given time. These non-aluminum/hydrogen cations, are often referred to as the basic cations. The most common basic cations are calcium, magnesium and potassium. These basic cations, when they move into the soil solution, do not cause an increase in the acidity of the soil solution. The percentage of these basic cations in a soil is often referred to as percentage of base saturation. Having a high percent base saturation is desired, for it means that there is usually a high number of nutrients in the soil (Mg, Ca, K etc.) and that soil acidity is not likely to be a problem. In the Southeast, percentage base saturation of the soil is usually between 35 and 50 percent. In some fertile areas of the Midwest, it may be as high as 90%. High levels of soil acidity can be quite detrimental to plants. A number of reasons for this are listed below: · Low pH levels can adversely affect the uptake of nutrients by plants. · At low pH levels, some elements, such as aluminum or manganese can become readily available in quantities that are toxic to plants. · Many pesticides that are used are less effective at low pH levels. · Beneficial bacteria, such as the bacteria that convert ammonium to nitrate, can be harmed. It is true that most crops will do best when soil pH is between 6.0 and 7.0, but many crops grow best at lower pH levels. These acid loving plants do best in a pH range from 5.0 to 6.0, too low for most plants. Included in this low pH group are: blueberries, sweet potatoes, watermelons and azaleas to name a few. Overall though, acidifying the soil is something that people want to avoid. In order to avoid acidifying the soil, it is valuable to know what causes soil acidification. One of the primary causal factors of soil acidity is leaching. Water is continually moving through the soil profile, and over time, this water movement causes nutrient elements, that were bound to soil colloids move into solution and are leached out of the soil, being replaced by aluminum and hydrogen ions. Leaching is more prevalent in areas of high rainfall and old soils. 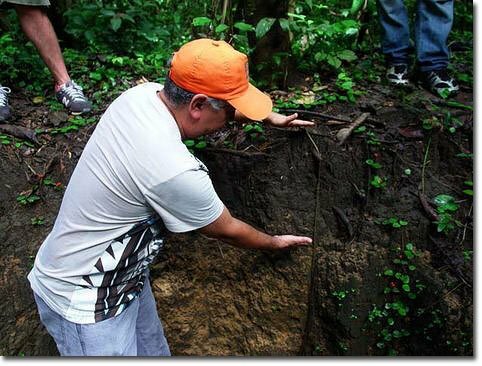 Leaching is a major cause of soil acidity in tropical areas. In addition, if soil nutrients are not replaced after a crop is harvested then acidity levels in the soil are likely to rise because nutrient elements are leaving the soil in the harvested crop and are being replace with aluminum and hydrogen ions, not nutrient ions. Lastly, one of the leading causes of soil acidification, especially in high intensity horticultural crops, is the use of acidifying fertilizers, in particular the overuse of ammonium containing fertilizers. The process by which ammonium containing fertilizers can cause acidification will be discussed next. The above reaction illustrates how the acidity of the soil solution can be increased when using ammonium fertilizers. In agronomic crops this may not be as big a problem as it is in horticultural crops. This is because crops are usually grown much more intensely than agronomic crops, often fertilizer is applied every day, and thus acidification from ammonium fertilizers is a big problem. Acidification of the rhizosphere is also a major problem that can result from using ammonium fertilizers. The acidification process is the same as the one that occurs in soils, but it is much more concentrated in the rhizosphere. The nitrifying bacteria are much more dense in the rhizosphere than they are in the soil and thus convert more ammonium to nitrate here per unit area in the rhizosphere. Thus, the hydrogen concentration becomes more intense here than in the soil and this is why the pH of the rhizosphere can be two or more units lower in the rhizosphere than in the soil. In addition to the acidification effects of using large amounts of ammonium fertilizers there are other detrimental processes that can occur. In horticulture crops that are very intensively grown, often the bacteria cannot keep up with the ammonium being applied and there is excess ammonium “sitting” around in the soil solution. This ammonium will be taken up by plants searching for much needed nitrogen. Ammonium by itself is toxic to plant cells and once inside a plant it must be combined with carbon compounds to be detoxified. This process “steals” carbon that could be used for growth, but is instead being used for detoxification purposes. In addition, very high levels of ammonium will burn the young undifferentiated portions of plant roots. It is here that much of the nutrients for a plant are absorbed. When this area is physically damaged it can no longer absorb enough nutrients for proper growth and the plant will suffer. This “overloading” of ammonium was never thought to be a problem in the past. This is because in the past, most research was done on agronomic crops. In these crops, fertilizer is not applied as frequently as in horticultural crops and the nitrifying bacteria generally can “keep up” in converting ammonium to nitrate. However, since most horticulture crops are grown much more intensively, the overloading effect of ammonium has become and issue. Horticulture crops not only include many fruit and nut crops, which are grown on trees, but woody landscape plants as well. The problems that can occur with heavy use of ammonium on tree crops are substantial. This is because these tree crops may stay in the soil in one place for 30 years or more, unlike an annual vegetable crop, which is planted every year. Having a crop planted for a very long period of time can magnify the acidification process because it would be nearly impossible for one to till the soil around the plant while that plant remains in the ground. Doing so would likely destroy the root system of the tree. The fact that one cannot till the soil, will prevent them from being able to remedy the acidifying effects of ammonium with lime. Though it will be discussed in more detail later on, lime will work to neutralize acidic soils. In order for it to work well though, it must be tilled into the soil. Studies have shown that if lime is strictly applied to the surface of the soil, it will take years for the lime to move just a few inches downward in the soil profile. Thus it could take ten years for the lime, that one applied, to reach the roots of a tree, where acidification is a problem. After that long, the tree will likely be in very poor condition due to the fact that the roots will have been damaged and nutrient uptake was impaired, therefore opening the door for diseases to invade the tree. It has been proposed that this acidification effect of ammonium could be partially to blame for peach tree short life in Georgia. Although there are a number of factors which contribute to the short life of peach trees here in Georgia, the acidify effects of ammonium could be one of them. Most peach growers use only ammonium as a nitrogen source. Thus, after a period of time, the surrounding soils and rhizosphere of peach trees becomes very acidic. This will lead to nutrient uptake problems as well as root burn, which in-turn will lead to a plant that is much more susceptible to infectious agents such as nematodes. Eventually the tree is so disease ridden that it becomes unproductive and must be destroyed. Peach tree short life is a major problem in Georgia; peach trees here only live to be about 6 or 8 years on average. In other parts of the country, such as California, peach trees are productive for up to 20 years. Undoubtedly, the acidifying effect of ammonium is not the only reason for peach tree decline in Georgia, but it is a major contributor. A diagram of the root rhizosphere is shown below. The problem with using ammonium fertilizer can easily be remedied by using nitrate-based fertilizers. First, it should be noted that one does not have to do away with using ammonium fertilizers and should not do away with using ammonium as a source of nitrogen. Instead, use a combination of ammonium and nitrate containing fertilizers. It has been proposed that a 60/40 mix of nitrate and ammonium fertilizers be used. That way one will get the benefits that both have to offer. By using some ammonium, a grower will save some money. Also, ammonium is not leached as readily as nitrate, thus by using some ammonium one gets a sustained source of nitrogen for their crop. By only using 40% ammonium though, one may not run into the acidification problems that occur with using only ammonium. Also it has been noted that, a good fertilization with ammonium in the spring may lead to a quick burst of available phosphorous, which is also need by the plant. Ammonium fertilizers do have their place in a nutrition program it’s just that too much ammonium can lead to problems. Nitrate fertilizers are not without their problems either. To begin with, nitrates are very expensive. 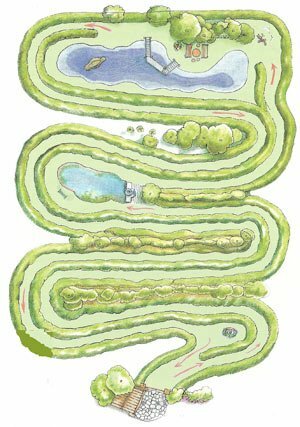 For some growers, it may not be economically feasible to spend the extra money on nitrates. For example, a grower who grows annual transplants in a green house, who uses new potting media every year, may not benefit much from using nitrate fertilizers, especially if they only grow the crop for a few weeks and don’t make much money off the crop. Nitrate is also very easily leached from the soil. If one only fertilizes with nitrates and if soil levels of nutrients are not monitored closely, then a grower could see a nitrogen deficiency in some plants after a long period of rainfall or heavy irrigation. If a grower is accustomed to fertilizing with ammonium, and they decide to switch to a nitrate based fertilizer, then they will likely have to fertilize more often. If they do not change their fertilization schedule, then they could run into problems associated with nitrogen deficiencies. Nitrate based fertilizers, such as potassium nitrate, will work to increase the alkalinity of soils as well. Though, as a whole, this is not a problem with as far-reaching as the acidification problems with ammonium, it does happen. As was noted earlier, soil and rhizosphere pH can greatly affect the uptake and availability of inorganic nutrients for plants. Some nutrients become more available in acidic soils while others become less available. The same is true for alkaline soils. In general the most ideal pH for plant growth is between 6.0 and 7.0. In this range, all of the essential nutrients are available for uptake. Nitrogen, one of the primary macronutrients is most available to plants between a pH of 6.0 and 7.5. At a pH lower or higher than those, nitrogen becomes less available. Phosphorous, another of the primary macronutrients, is most available between a pH of 6.5 and 7.0. As the soil becomes more acidic, phosphorous availability greatly decrease. This is because, at low pH levels there is much more aluminum and iron available. This aluminum and iron will bind to the phosphate in the soil, causing it to become insoluble and thus unavailable. At high pHs, phosphorous availability also declines rapidly due to the fact that calcium is much more available at these higher pH levels and this calcium will bind to phosphorous, again making an insoluble salt that is unavailable to be taken up by plants. Potassium, the third of the primary macronutrients, is greatly decreased in availability as the pH of the soil drops below about 6.0. In general as the soil becomes more alkaline potassium availability does not drop, instead it stays relatively constant once a pH of 6.0 is reached. One important thing to note regarding potassium, is that in general soils contain a large amount of potassium, perhaps more than any other nutrient. Unfortunately, most potassium in the soil is bound up in clay minerals and is thus unavailable. So, despite being found in soils in relatively high concentrations, only a small portion of that potassium is usually available for plants. All of the secondary macronutrients: magnesium, calcium and sulfur become less available to plants as the pH of a soil drops below 6.0. Above this point all of the secondary macronutrients are readily available, even at highly alkaline pH levels. However, even though these elements are readily available at pH levels near 10.0, plants could not be able to utilize them in this highly alkaline region because they (plants) would not be able to tolerate and grow in such alkaline conditions. All micronutrients, except molybdenum, become more available to a plant as the pH of a soil becomes more acidic. Included in this group are: iron, manganese, boron, copper, and zinc. Chlorine is usually present in high enough quantities and needed in such small amounts by plants that its availability is never an issue. As the soil decreases in pH, many of these elements become extremely soluble and in some cases, such as with manganese, can become so available to the plant that they can cause toxicities. As soil pH increase the micronutrients generally become less available to plants. In order to understand the complete picture though, one must make a distinction between an element being available and whether or not an element will be in the soil in sufficient quantities. Indeed all micronutrients, except molybdenum, become more available at low pHs (below 6.5), but two of these micronutrients in particular are likely to be deficient on acid soils. Both manganese and boron are very soluble at a low pH. If a grower’s soil has been acidic for any period of time, these elements have probably been leached out of the soil by rainfall or irrigation. Thus in most cases, having an acidic soil will mean that you will have a deficiency in boron and manganese, because of the fact that they are more available (soluble) in acidic soils. In addition to affecting nutrient uptake, soil pH can alter the effectiveness of many pesticides. Generally pesticide adsorption to soil colloids increases in acidic soils, and pesticide leaching will increase in alkaline soils. This is due to the fact that in acid soils there are many free floating hydrogen ions. These ions will bind to basic pesticides to form cationic complexes, which will bind to negatively charged soil colloids. Thus, most pesticides will become strongly adsorbed in acidic soils and their effectiveness will be reduced. They become more leached in alkaline soils because of the fact that in these soils there are fewer hydrogen ions present in the soil solution. Since fewer hydrogen ions are present, fewer cationic complexes are formed and a lesser amount of pesticide is bound to negatively charged soil colloids. Thus, pesticides in general are considered to be most effective when the soil environment is at a near neutral pH. For the most part, acidic soils are more of a problem than alkaline soils, especially in Georgia. Though high pH soils occur in California, they tend not to pose as big a problem to growers as acidic soils do in the Southeast. In addition, by using ammonium fertilizers, growers on alkaline soils can lower their pH to near neutral levels. What could be considered a detrimental practice in Georgia may be beneficial in California. Also, elemental sulfur can be spread on basic soils and easily reduce the pH. Very small quantities, just a few kilograms per acre of sulfur needs to be applied in order to reduce the pH of that soil one pH unit. Changing the pH of acidic soils is more of a challenge, especially in Georgia, and will thus be discussed in more detail. The most commonly used material for increasing soil pH is lime. Lime is often defined as, a calcium containing soil amendment that works to increase soil pH. Lime is not a fertilizer. Instead, it is called a soil amendment. This is because growers do not apply lime as a source of nutrition for plants, though it does contain calcium and sometimes magnesium, but it is not used strictly for the purpose of providing plants with those nutrients. Growers use it to raise soil pH, the fact that it does contain some nutrients is just and added benefit. Lime works in a two-step process. When lime is applied to the soil it breaks up into calcium (sometimes magnesium) and carbonate ions. The calcium ions will then move to the cation exchange sites on the soil particles and bind to them, in the process knocking hydrogen ions and aluminum ions off the charged particle. The hydrogen ions then move into the soil solution, where they bind to the carbonate ion to form carbonic acid, which is then quickly broken down to water and carbon dioxide. The aluminum that is knocked off the soil colloid moves into the soil solution and reacts with water to form aluminum hydroxide, which is inactive, and hydrogen ions. These hydrogen ions then react with the carbonate ion and become carbon dioxide and water. Liming is extremely important in maintaining adequate soil pH. In order to be sure that one is doing an effective job of liming, a few guidelines should be noted. To begin with, lime will not move through the soil at an appreciable rate. Studies have shown that it takes months and years for lime applied to the soil surface to move just a few inches downward in the soil profile. Thus, when applying lime, one should work it into the soil while tilling. Particle size of the liming material is also very important in determining its effectiveness. As particle size decreases, the total surface area per unit of weight will increase. This increase in surface area is desirable, for it means that a greater proportion of the lime is going to react in a shorter period of time. Particle size is graded on a scale that is based on the size of the mesh screen in a sieve. The greater the mesh size number-the smaller the actual open area for a product to fit through. A sixty-mesh screen will have smaller openings than an eight-mesh screen. Studies have shown that smaller lime particles are more effective than larger ones, thus when purchasing lime, one should look for a lime with at least 70% of the particles being of a sixty-mesh size. Some studies have shown that 1.8 tons of a very finely ground lime (80%+ will pass through a 60 mesh screen) will have an effect equal to 3.9 tons of a courser lime (20-30% passing through a 60 mesh screen). Having, some larger particles mixed in will be beneficial though, because of the fact that these larger particles will indeed break down more slowly and provide a “sustained release” for the lime. Not all liming materials are equivalent in their effectiveness. The effectiveness is based on the effect that a certain amount of a particular liming material will have on raising pH, when compared to a standard. The standard lime that is used is calcitic limestone (calcium carbonate), and the effectiveness of other limes compared to it is measured in equivalents of calcium carbonate. Pure calcium carbonate will have and equivalent of 100. Anything that is more effective in raising the pH than the pure calcium carbonate will have an equivalency of greater than 100, while anything that does not work as well will have an equivalency of less than 100. A small table demonstrating this is shown below. As noted above, not all limes are equal. There are a number of different liming products available. Some are better than others. Several common liming products will be discussed below. · Calcitic (CaCO3) and dolomitic (CaMg(CO3)2) limestone – These two liming materials are the most popular. Depending on purity level, their neutralizing effectiveness (CaCO3 equivalents) can range from 70% to about 100%. They are readily available to the grower, and in addition to providing a liming material they also provide a source of calcium and sometimes magnesium, both of which are required by actively growing plants. · Calcium hydroxide (Ca(OH)2) – This is often referred to as slaked lime. Calcium hydroxide is very powerful and extremely fast acting, much smaller amounts of this material are needed than most others to achieve the same effect. It is a very caustic compound. If too much is used growers may find themselves in a situation in which their soil pH is too high to grow anything. If overused, calcium hydroxide can increase soil pH to the 12 range. Despite the disadvantages it is sometimes used when a quick response is desired. · Calcium oxide (CaO) – This is often referred to as quicklime or burned lime. Like calcium hydroxide, calcium oxide is a caustic agent that can quickly raise the soil pH. Though not as powerful as calcium hydroxide, it can easily raise the soil pH to undesirable levels if too much is used. In addition, if spread on the surface of the soil it can rapidly cake. · Slags– There are a number of materials that fall under the title of slag. Slag can be a byproduct from the manufacturing of steel from pig-iron. It is usually cheap and readily available to growers within a reasonable distance from a steel manufacturing operation. Before applying slag though, one should have it tested for purity as well as effectiveness. In addition, since it is a waste product from a manufacturing process one should look for any contaminants, such as heavy metals. This is important because if a heavily contaminated slag is applied to the soil, a grower could do irreversible damage to their entire growing operation. · Marl– Marl is a soft deposit of mostly CaCO3. When dry, it is a powdery substance. Its effectiveness is based on the percentage of impurities in it. Often, impurity levels can be quite high. It is usually spread wet. It was stated earlier that lime is a soil amendment and not a fertilizer. Likewise, lime does not need to be applied on as regular a basis as most fertilizers. Usually one will apply fertilizer several times in a growing season, perhaps even several times in a week. Lime however, usually only needs to be applied every few years. Sometimes growers can go up to ten years between applications, though this is a rare case. Because of the low solubility of lime, it takes long period of time before it is no longer effective in controlling the pH of the soil. In addition, the buffering action of the soil as well as residual effects of previous lime applications will increase the length of time that lime is effective in the soil. The amount of lime that one would use would be determined by testing the pH of Soil. Obviously if one does a pH test of their soil and it turns out that their soil has a pH of 7.0 or greater then it is likely that they will not have to lime, unless they plan on using a great deal of ammonium fertilizer. If this is the case, then they might have to add lime in anticipation of the acidifying effect of the ammonium. Most cooperative extension agencies will test the pH of a grower’s soil and provide them with a lime recommendation either for free or for a small fee. Usually in order to test pH one will use an indicator solution or a pH meter. For in the field use, indicators are more commonly used to test pH, though there are very small portable pH meters available that can be used in the field. Usually a series of soil samples are taken from random points in the field that are representative of the field as a whole. One would not take a soil sample from a very low spot in the field for example. Most of the time a soil solution is made with water, the soil is filtered and the pH of the remaining solution is then measured using either an indicator, such as bromothymol blue, litmus paper or a pH meter. In some places, such as the southeast, where there are fewer dissolved salts in soil solution it is difficult to get a good measurement using a pH meter. To alleviate this problem, calcium chloride salt is added to increase conductivity between the electrode on the pH meter and the solution being tested. Calcium chloride is used because it is completely soluble in water. Whether or not calcium chloride was added should be noted on the test, for a pH test of the same soil sample will vary up to 0.5 units between the two types of tests. In general, the pH results of the tests which used calcium chloride will be a little higher than those tests which used just water. Soil and rhizosphere pH is one of the most important factors to consider when growing a plant. With the exception of water, there are few other things that can have such widespread effects on the growth of a crop. Regardless of how much fertilizer one puts out, if pH is not controlled, then that fertilizer may not be of any use because it will be unavailable for uptake by the plant. In addition, pH will affect the activity of pesticides applied to the soil. Above all else though, pH can have a tremendous impact on the overall health of a plant. If grown in an unsuitable pH, a plant will be weak and susceptible to disease problems. One should also not overlook that fact that the pH of the rhizosphere, can be two or more pH units above or below the pH of the soil. Since the rhizosphere surrounds the roots of the plant, one could say that the plant is actually growing within the rhizosphere, more so than the soil itself. Thus if the rhizosphere pH is 4.0, then the plant is growing in a pH of 4.0, regardless of whether the soil pH is near neutral. Since the rhizosphere is the actual place where absorption of nutrients takes place, the pH of this area is surely, of equal or more importance than the pH of the soil ten feet away from the plant. One of the most important things a grower could do today is regularly monitor his or her pH; it’s easy to do, and the dividends that one would gain are immense.